Description: Featured image is a mock magazine cover titled Blind Beauty. 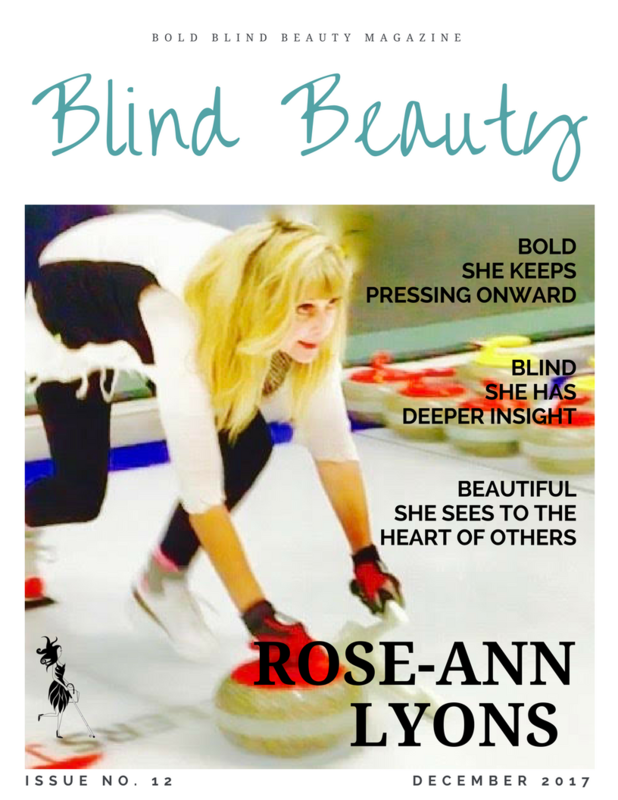 Action shot of Rose-Ann curling is on the cover. She’s looking like a pro, on this ice wearing a black and white outfit.